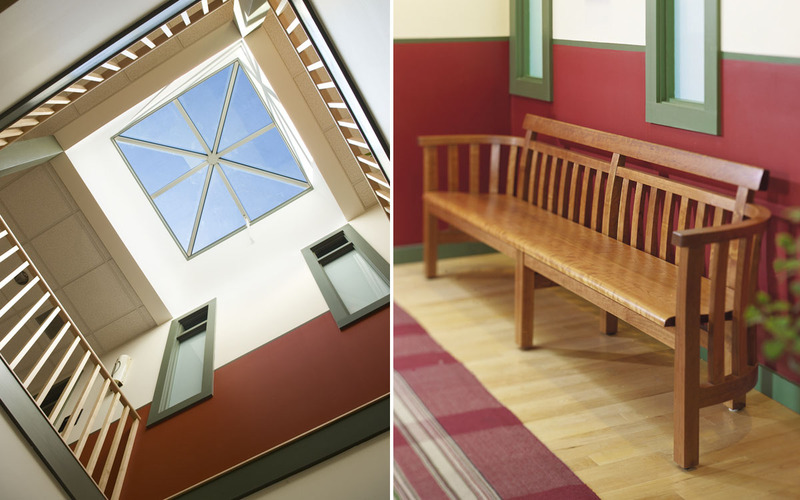 Vermont Law School’s 110 year old Debevoise Hall serves as an historic landmark in South Royalton’s village center. The four story, 28,000 sq.ft. 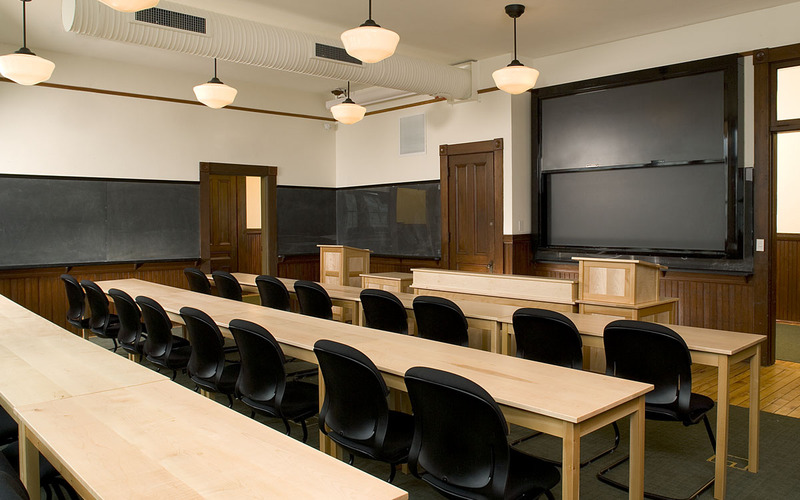 building provides a home for the school’s Environmental Law Center, classroom space, faculty and administrative offices and an all-purpose space that serves as the Law School’s “living room”. 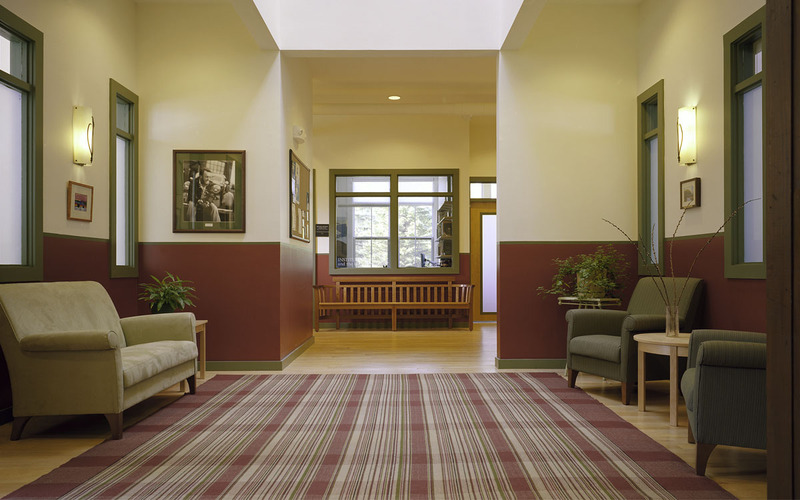 Interior design strategies included the selection of regional materials, healthy interior finishes, locally made furniture from FSC-certified wood and locally made rugs and lighting fixtures.